In-home Landline Systems are the classic type of medical alert system that has been available since the 1970s and is still available today. These systems must be connected to a traditional landline telephone jack in order to function. In other words, they will not work over a cellular connection like some other systems do. 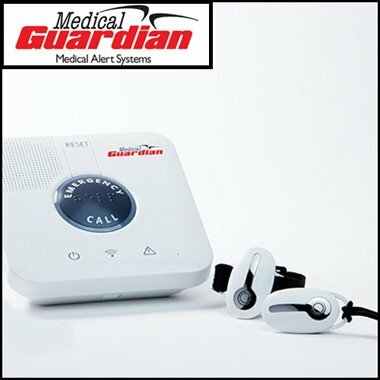 While these systems may be basic, they are considered the most reliable type of medical alert system due to their use of the landline connection. This kind of system is a good choice if you or your loved one requires coverage in their home and yard and has a landline phone. Where to install it – Because it is stationary and connected directly to your phone jack, it is recommended to choose the wall jack in the most visited\accessible location in the house where you spend most of your time, such as the living room or kitchen. Connection type – It is connected to your landline wall jack directly. You can use a dedicated line for only your medical alert system or plug your telephone into the base station to use the same line for your phone and medical alert system. Built-in two-way speaker – Every base station has a built-in two-way speaker that you can hear and speak through. In some cases, the call center agents can hear you even from a significant distance. If you activate the system and the agent can’t hear you, they will still summon help to be on the safe side. Built-in help button – Every base station has a built-in emergency button you can press to make a connection with the call center to get help. Backup battery – Each system typically comes with a built-in backup battery. In the case of a power outage, your system will keep working using battery power. A typical backup battery provides power for about 32 hours. How to wear – Most medical alert plans offer you a choice of a neck pendant or a wristband. Range from base station – Depends on the system you choose. Coverage range can vary from 300 feet to even 1300 feet from the base station. Two-way speaker – N/A. These wearable help buttons only have a press-button that sends an alert to the base station within the valid range. You cannot speak with an agent through them. You have to talk through the base station. Once a connection has been made, if the agent can’t hear you, they will automatically send help. Additional help button – Some companies include two help buttons at no extra cost, but others might charge you an additional one-time or monthly fee. Additional Person Medical Monitoring – In most cases, you can add another person in the household to your medical alert plan. Each person will wear their own help button while using the same base station that is located in the house. However, you need to check with the company to find out if there is an extra fee for monitoring additional household members. Waterproof – All personal help buttons for in-home systems are waterproof and can be worn in the shower. Available as an add-on option with some in-home landline systems, usually for an additional $5-$10 monthly fee. A fall-detection pendant is a separate help-button pendant that you can only wear as a necklace. Like with the other help buttons, you can’t speak through a fall-detection pendant, but it features motion-detection sensors. That built-in technology will detect a fall and automatically send an alert to the base station within the valid range (usually up to 600 feet). These pendants are waterproof and can be worn in the shower. That way they help keep you safe in the room where falls are most likely to occur. Summon Help. Press a personal help button and the base unit in your home will send a signal to the medical alert’s monitoring center. A care agent will speak to you through a two-way speaker in the base station to confirm that you need help. They will contact a designated friend or family member and call your local emergency responders if necessary. The care agent will stay on the line with you until help arrives. MobileHelp doesn’t provide this type of system. In-home cellular medical alert systems work like the in-home landline systems, but they do not require you to have a traditional telephone landline in your home. These systems work using a cellular network, usually AT&T or T-Mobile. You do not need to have a cellphone plan or even own a cellphone to use this type of medical alert device. Your access to the cellular network will be included in your cellular medical alert system plan. Where to install it – Because it is working on a cellular network and doesn’t need to be plugged into a telephone jack, you have more options for where to place this type of system in your home. It is recommended that you put it in a central location, preferably where you spend most of your time, such as in the kitchen or living room. You can easily move this type of base station around the house because it only needs a power cord connection, and you are all set. Connection type – AT&T or T-Mobile wireless network (depends on the medical alert company you choose). No landline required. 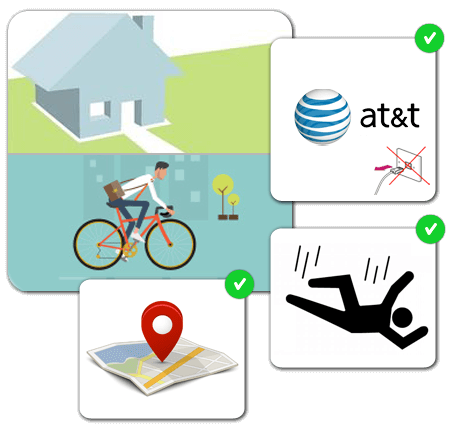 Before making a final choice on a cellular-based medical alert company, make sure to verify that you have the necessary cellular-network coverage in your area. You can easily check this on the mobile network’s website. Built-in two-way speaker – Each base station has a built-in two-way speaker. The care agent will speak to you through that speaker, and they can also hear you talk through the base station since the speaker also has a microphone function. Built-in help button – Every base station has a large, built-in help button that can be pressed to call for help. This is convenient if you need help but are not wearing your personal alarm button. Backup battery – Most base stations come with a built-in backup battery that will make sure you have medical alert coverage even during a power outage. How long the backup battery will last varies according to the system you own, but 30 hours of backup battery time is typical. How to wear – Wearable help buttons are also known as personal alarms. They can be worn on your wrist like a watch or around your neck like a necklace. Range from base station – Your coverage range will vary from 300 feet to 1300 feet, depending on the system you own. Two-way speaker – N/A. These wearable buttons feature a push-button that sends an alert to the base station. You can’t speak through the wearable help buttons. You have to talk to the agent using the two-way speaker in your base station. If, for any reason, the care agent can’t hear you, they will send help immediately to make sure you’re OK.
Additional help button – Most companies only include one help button with their basic plan; however, some include two. Most companies will allow you to add extra buttons for a one-time or monthly fee. 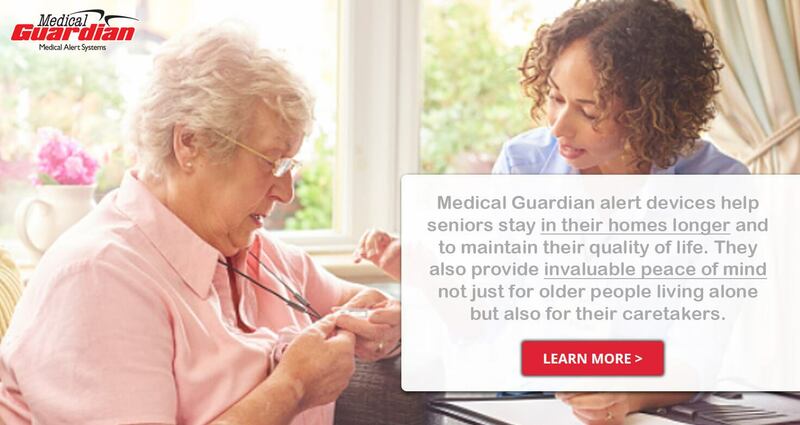 Additional Person Medical Monitoring – You can add another family member to your medical alert system’s coverage. Some companies only charge you the cost of the other wearable alarm button. Other medical alert companies will charge a monthly fee to provide coverage for another member of your household. Waterproof – The help buttons that come with in-home cellular systems are all made to be waterproof, so you can keep them on when you’re in the shower or washing dishes. Press the help button on the base station or your wearable personal alarm. The cellular base station will be activated and will contact the medical alert company’s monitoring center. 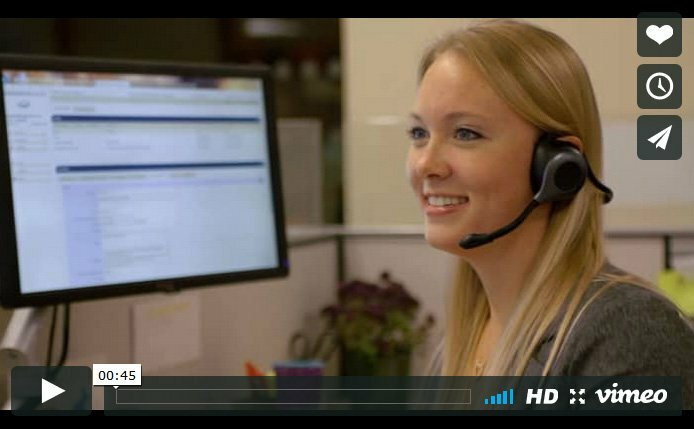 Speak with the care agent who will have your personal medical and contact information on file. They will determine the nature of your problem and send help as needed. The care agent will continue to stay in touch with you through the base station until they have confirmed that help has arrived. 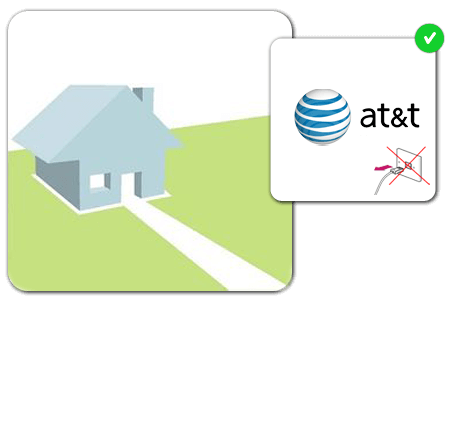 In the section below, we compare in-home cellular plans from three companies. These plans do not include fall detection. Getting immediate help after a fall has a large beneficial impact on recovery and survival outcomes, especially for those over the age of 65. Choosing a medical alert system with fall detection can give you additional peace of mind. If you or your loved one were to fall while wearing a fall-detection pendant, even if they were unconscious and couldn’t call for help after the fall, the fall-detection pendant will automatically summon help for them. In-home cellular systems with fall detection work just like the cellular medical alert systems in the previous section, but they are enhanced with fall-detecting technology. Most medical alert companies charge an additional $5- to $10-per month fee to add fall detection onto your plan. How to wear – This type of medical alert personal alarm button can only be worn around the neck as a pendant. That’s because the fall-detection technology is built into your pendant, and it would activate false alarms if it were worn on the wrist. Range from base station – Varies with the system. You’ll typically receive about a 600-foot range of coverage. Two-way speaker – N/A. This type of fall pendant that goes with in-home cellular medical alert systems does not provide a two-way speaker. As with the other systems above, you must use the base station to communicate with your medical alert company’s monitoring center. Additional help button – You’ll need to purchase another help button, and there is typically an additional monthly cost. Additional Person Medical Monitoring – You need to buy an extra fall-detecting pendant to add another person, such as a spouse, to your fall-detection medical alert plan. Waterproof – Fall alert help buttons are waterproof and can be worn in the shower. How to wear – Wearable help buttons can be worn on your wrist like a watch or around your neck like a necklace. If you fall while wearing your fall-detection pendant, it should automatically contact your medical alert company’s monitoring center. You can also press the alarm button on your wearable pendant or press the help button on the base station. The monitoring center agent will speak to you through the base station to confirm that you need help. If you are unable to respond, they will still send help right away to make sure you’re all right. Most medical alert systems with mobile base stations have built-in GPS capabilities. These base stations are designed to be small and lightweight; they are usually about the size of a deck of cards. You can carry them in a purse or pocket or wear them as a pendant around your neck. These often come with belt clips so you can wear them on your belt if you like. These systems can also be used in the home and used as a standard at-home base station in tandem with a wearable alarm button. Anywhere protection – You can take the entire system, including the mobile base station and the help buttons, and use it anywhere that has the appropriate cellular network coverage. Two-way speaker pendant – Due to its mobility, the mobile base station performs as a base station and a wearable help button at the same. You can activate the alert and also speak and hear through it, unlike other typical alarm button pendants. It is lightweight and easy to carry, so you can think of it as an improved help button that also has a built-in two-way speaker. GPS tracking feature – This technology allows the call center to obtain your exact location within moments to get help on the way as soon as possible. Fall detection automatic alert available only in the separate pendant necklace – To protect yourself against falls and enjoy the two-way speaker within the mobile base station, you will have to wear the fall-detection pendant with the small bar-soap-sized base station next to you in a purse, pocket or on your belt. As long you are within the valid range, which is up to 350 feet from the base station, the fall detection will work, but the base station alone will not automatically protect you against falls. Limited power – One issue you should remember is that when you wear the mobile base station on the go, once out of charging dock it can last for only 24 hours before it needs to be recharged. Standard help buttons have batteries that will last for about a full year. Thus, you must remember to charge the mobile base station every day like a cellular phone and also to take the docking station with you if you are traveling for few days. Less range for the wearable help buttons – The small mobile base station provides a bit smaller range (up to 350 feet) in comparison to stationary base stations, but it probably will be enough to cover most houses, apartments and yards. When you need help, press the alarm button on the mobile base station or your wearable wristband or pendant. The monitoring center will be notified and will contact you through your base station. The care agent will ask questions to find out if you are OK and if you need help. They may be able to pinpoint your location quickly if your mobile base station has GPS as most of them do. Help is sent if you need it. The medical alert system representative will stay in constant contact with you until help has arrived on-site. *LifeFone offers a mobile plan that includes both a stationary base station and a mobile base station, so you will have separate devices for to use at home and on the go. This option is the most comprehensive one. You get a full medical alert system in just one necklace pendant; no additional help buttons are required. 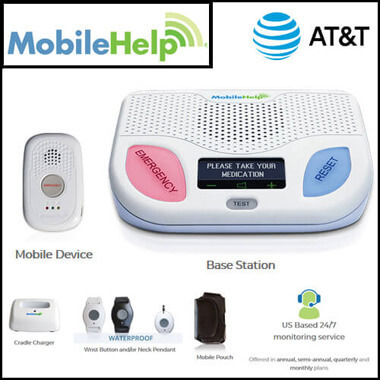 Cellular connection – You will have medical alert protection at home and anywhere you travel in the continental USA where there is compatible cellular coverage. Mobile – It is small and light to carry, making it ideal for active people who don’t want to feel tied down with a stationary base station. 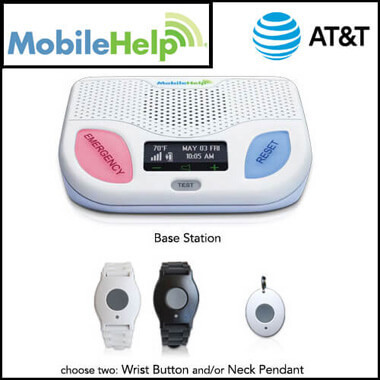 Additional help button – Some companies offer a separate wearable help button (pendant / wristband), so when you are at home, you can use the mobile base station also as a standard stationary base unit (like in the previous section), and leave it in its charging dock 24\7. This will allow you to wear the regular help button and use it within the valid range (300 feet). 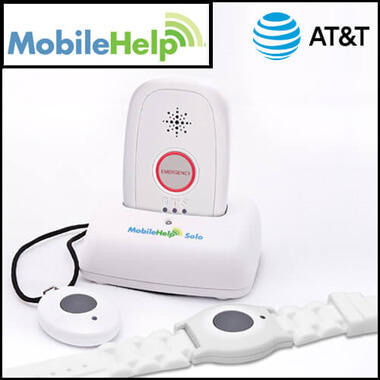 Do note that those regular help buttons don’t feature the two-way speaker and fall detection feature, but this will allow you to enjoy the system also as a standard in-home medical alert system, and also have full coverage once you are on-the-go. Limited power – Like the previous mobile system we discussed, this device can only last for about 32 to 36 hours between charges. It will need to be charged on a daily basis, similar to a cellular phone. Fall detection limitations – Another drawback is that for the fall the detection to work, this device can only be worn around the neck as a pendant. However, this is the same issue with any other fall detection devices. They will not function correctly if they are worn on the wrist or waistband. *Please note that the company may charge an additional fee to activate the fall-detection feature within this device. *If you don’t want fall detection, you can wear the all-in-one system on the belt clip that comes with it instead of around your neck as a pendant. Pricy – All-in-one systems typically have higher service rates than other kinds of medical alert systems. To get help, press the help button on your wearable pendant to connect with an agent at the medical alert monitoring center. Speak through the two-way speaker on your wearable pendant. A care agent will confirm that you need help and send help if you need it. Depending on your circumstances, they will call a designated friend or family member as well as your local emergency responders. The care agent will remain in contact with you through your pendant until help arrives on the scene. 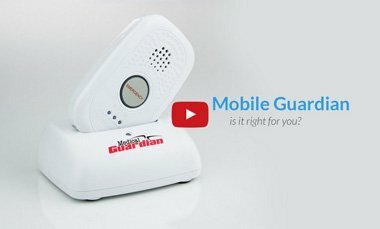 Medical Guardian – Stay Safe At-Home or On-The-Go! “These folks have been fabulous in helping us get set-up with Medical Guardian from the first encounter! My 96 year old, paraplegic dad was reluctant to wear the lanyard until I told him to consider it “dog tags” for WWII servicemen. But, after wearing it a couple of day, he inadvertently sent the alarm (leaning over in his wheelchair to pick up pecans!). After that first “false alarm”, he was too proud to use it, and later that day had a sincere emergency when his wheelchair collapsed. Yikes!! This was a bad judgement call on his part! Since that “trial run”… He is more amenable to use the fantastic resources of Medical Guardian!! 90% of people aged 65 and older want to stay in their own home and community for as long as possible, according to a survey by the AARP. The ability to remain in one’s home and “age in place” helps seniors to maintain life satisfaction, good health and a sense of self-esteem. These are all keys to aging successfully. Let us help you! Please choose where are you looking for protection? 28.7% of seniors reported falling at least one time in the previous 12 months, resulting in an estimated 29 million falls. That percentage gets even higher the older a person gets, according to a CDC report from 2014. Falls are the number one cause of fatal and nonfatal injuries for older adults in the United States. Medical alert systems help seniors call for help quickly if they fall. Many also come with fall detection capabilities to offer an additional element of protection. An older adult dies from a fall every 19 minutes, says the National Council on Aging. Many more are injured. The National Institute of Health recommends medical alert devices for seniors who live alone or tend to experience dizziness or problems with balance. Illnesses like diabetes, heart disease, or problems with your thyroid, nerves, feet, or blood vessels can all affect balance. Some medicines can make a person feel dizzy or drowsy, increasing the chances of a fall. Approximately half of older individuals who fall are unable to get up without help, according to Merck & Co. Staying on the ground for more than two hours following a fall raises the risk of dehydration, pressure ulcers, pneumonia, hypothermia and a dangerous muscle condition called rhabdomyolysis. After a fall, a person who gets help right away is five times more likely to survive the fall versus an individual who lays incapacitated for 12 hours before receiving help. Get Your FREE Brochure & Quote from our Top Companies! Where are you looking for protection? Do you have a landline telephone at home? Are you worried about getting help if you're unconscious, or unable to press your button? *By submitting this form, you agree to give your electronically signed prior express written consent and authorization to be contacted by or on behalf of *Company on your wireless and/or other phone numbers you provided above, including by SMS/texts, autodialed, pre-recorded and/or artificial voice calls, for the marketing of Company’s goods or services even if you are on the federal, any state’s and/or *Company’s Do-Not-Call registry or list and for all other purposes. You understand that your consent is not required to purchase *Company’s goods or services. 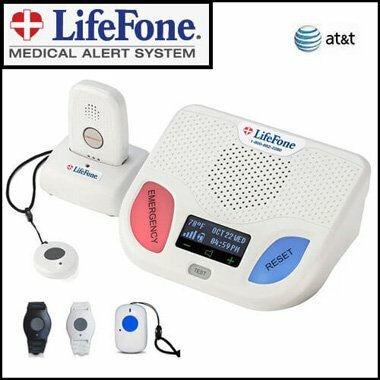 Anyone who is concerned about getting help when they have a medical emergency could benefit from owning a medical alert system. If you fall, have a heart attack, stroke or seizure, you may not be able to get to a phone to call 911. However, if you have a medical alert system, you can summon help at the touch of a button by pressing your wearable alarm button. With some systems, you don’t even need to press a button because the system can automatically detect a fall and call for help. You also have the option of installing wall-mounted help buttons in strategic locations in your home. 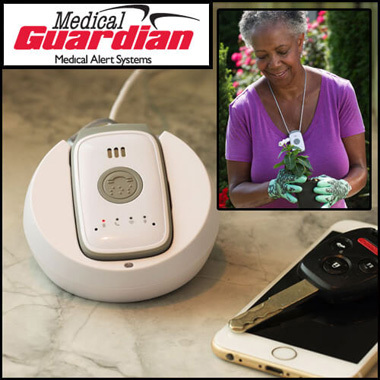 Many adult children purchase medical alert systems for their senior parent so that they don’t have to worry that their loved one may fall and not be able to get help. The peace of mind that these systems provide helps seniors to stay in their homes longer and continue to maintain their independent lifestyles. When you sign up for a medical alert system, you provide them with names and phone numbers of your emergency contacts, such as family, friends and neighbors. You also supply them with your basic medical information, such as any illnesses you may have or medications you are taking. They will keep this information on file to utilize in the event that you need help. They can provide the necessary information to assist emergency responders who come to your aid. They can also call friends or family on your behalf to come help you out if it’s not a medical emergency. 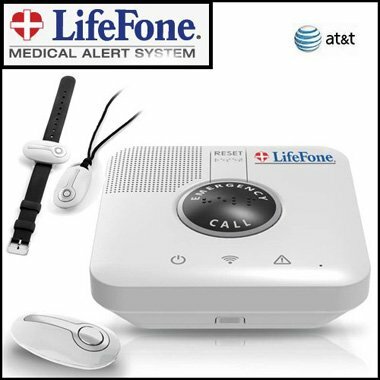 When you sign up for a medical alert system, you will receive a base station that connects to your telephone landline or uses a cellular network, depending on which model you choose. The majority of base stations are very simple to set up yourself and come with easy-to-follow instructions. Some base stations are designed to stay in one place while others can be taken with you on the go. The base station is the part of the system that will contact the medical alert company’s call center when you need help. In a way, it works like a speakerphone; a care agent will talk to you through the two-way speaker that is built into the base station. Most medical alert systems provide you with your choice of either a necklace or wristband for wearing your personal alarm button. Your alarm button will only work within a certain range around the base station. How large that range will be depends on the power of your particular base station and the configuration of your home. It’s important to order a base station that has a large enough range to cover your yard and front porch as well as the inside of your house. Each medical alert system will tell you how large their signal range should be, but make sure to test it out, so you know for certain where you are covered. When you receive your system, test that it works by pressing the built-in help button on the base station. Then check its range by pressing your personal alarm button from different locations on your property. Medical alert systems encourage customers to test their systems at least once a month to make sure they are working right. Simply inform the care agent that you are only making a test call and they will be happy you’ve checked in. Almost every one of our recommended medical alert systems provide the basic equipment for free (any exceptions to that will be indicated accordingly). Typically, you will receive your base station and one wearable alarm button at no cost. Keep in mind, every company considers their “free” equipment to be on loan, and you almost always must return the equipment to the medical alert company when you cancel your service. Otherwise, they may bill you for the unreturned equipment. While the basic equipment is free, what you pay for is the ongoing service cost, which can be billed monthly, quarterly or yearly. A typical cost for basic medical alert coverage is about $30 a month or $1 per day or less. If you agree to yearly upfront billing, you can get some good deals, such as a discount on the overall service charge, free shipping and bonus equipment, like extra wearable pendants or wall-mounted alarm buttons. The same kind of discounts may also apply for quarterly billing. If shipping costs apply, it’s usually around $9.99. 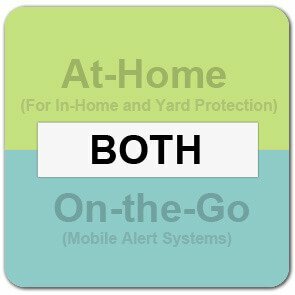 Most of the top in-home medical alert systems don’t charge an activation fee although there are some exceptions. That mean you will have no initial extra charge when you first start up your medical alert service. Cellular and on-the-go plans are more likely to have one-time start-up or activation fees. These costs should be disclosed to you upfront by the medical alert company, and all our reviews provide you with information on activation fees whenever they apply. Be sure to confirm the cancellation fee that goes along with your service. Typically, you will agree to a contract term when you sign up for a medical alert system. It could be a month-to-month contract or a yearlong contract. In either case, some companies may not allow you to cancel before your contract’s time is up. If you agree to a year-long contract and pay a year’s service fee up front, you often will not be refunded if you cancel before the year is over. However, some companies don’t apply that rule and will let you cancel early without a penalty. That’s why we have read the fine print for you to make sure you are clear on what the terms of each medical alert system are after you have read one of our reviews. If you are unsure about a particular medical alert system, it’s often a wise choice to sign up for a month-to-month plan that you could cancel more easily than an annual plan. If, after trying the plan for a few months, you decide that you want to keep it for the long term, you can easily roll your plan over into a yearly or three-month plan. That way you can still get the discounted rate that comes when you pay for a full year or quarter in advance, but you’ll be able to try out the system first. A basic medical alert system works by letting you press your wearable alarm button to get help, and that’s it. Of course, that is a valuable and life-saving feature! However, there are other services and functions you can receive with your system. Here are the most sought-after ones. Below, we’ll explain hardware features to consider and add-on services that are available. Choose the system hardware that offers the connection type you need. Do you have a telephone landline at home? Yes: Consider selecting one of the traditional in-home options. Telephone landlines are generally more reliable than cellular networks. No: Choose an in-home cellular or on-the-go plan. Determine how much geographic coverage you need from your system. Do you want to have medical alert coverage when you’re away from home, such as when you’re out shopping? Yes: If you want to use your system away from home, look into mobile systems that let you take them on the go. 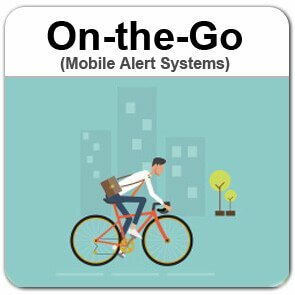 No: If you only require coverage at home, then you don’t need to look into the mobile medical alert system options. Check out the at-home options. How large are your home and yard? It’s important to have a medical alert system that provides the range of coverage you require. This is a popular feature because it uses motion detection to summon help. Medical alert systems with fall detection can tell if you’ve fallen and will automatically connect to your monitoring center and get help on the way. If you fall, there is a chance you might be unconscious and unable to press your wearable alarm button. That’s where fall detection comes in to give you peace of mind. Especially if the user of the medical alert system has vision problems or other issues that make it more likely they will experience a fall, a device with fall-detection capabilities can be an excellent choice. 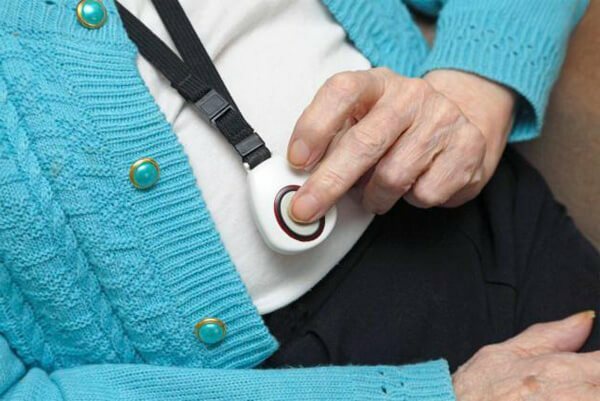 If you’d like to be able to talk to a care agent through your wearable pendant rather than having to speak into the stationary base unit, you may appreciate owning a medical alert system that provides that kind of two-way communication right on your wearable mobile pendant. Otherwise, every base station provides two-way communication with a built-in speaker and microphone. If you would like to use a mobile system, it makes sense to choose one that provides built-in GPS tracking. This way, wherever you go, your emergency contacts or medical responders can find you without delay. In fact, many medical alert companies have more precise GPS-tracking capabilities than 911 centers use. If you or your loved one still enjoys going out but is concerned they may become disoriented or lost, a medical alert with GPS monitoring built-in may be just the thing for you. Systems with GPS-tracking are great at giving you the peace of mind that you can be located if you get lost when you’re away from home. Does your home ever experience power outages? All medical alert base stations come with backup battery power. If you live in an area that is prone to power outages, especially extended ones due to storms or brown-outs, look for a system with long-lasting backup power. Most base stations have about 24 to 32 hours of backup battery. Monitoring of more than one person in your home. The majority of our recommended systems allow you to add a spouse or other family member onto your coverage. Some plans only charge you the cost of the extra wearable help button. Others may charge you an additional monthly fee. A few plans automatically include coverage for a second person, and you won’t need to pay any additional costs. 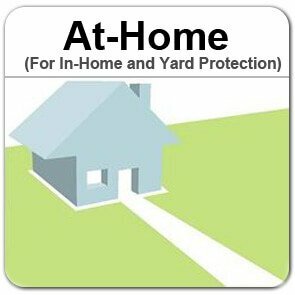 If you have fallen at home and can’t get up to open the door, how will help get inside to assist you? Many medical alert companies will provide you with a lockbox that goes on the handle of an outside door. It has a combination lock on it, and you store an extra house key inside. The medical alert company will provide emergency responders with the combination to the lockbox so they can get in to help you as quickly as possible without having to break a window or otherwise damage your home. These usually come with either a one-time charge or an ongoing, small monthly fee. Perhaps you don’t like to wear your personal alarm button to bed or in the bathtub. By placing wall-mounted help buttons throughout your home, you can press that button to get help quickly when you need it. In some places, it can be helpful to put the wall-mounted buttons near the floor so you can press them more easily if you fall and can’t get up. 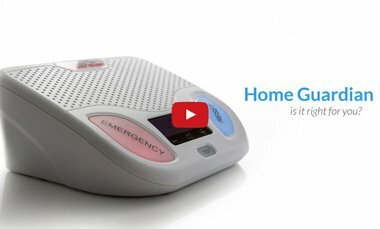 If you live in a home with multiple stories or an extra-large floor plan, a voice extender makes it possible for you to easily communicate with the medical alert care agent even when you are far away from your base station. The voice extender works a lot like a speaker phone. With this device, you won’t need to shout to communicate if you fall on the second floor but your base station is downstairs. 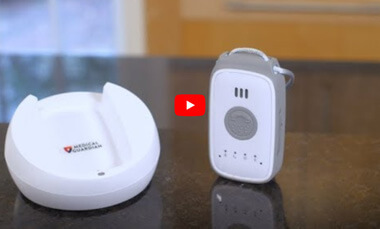 These devices will sound an alert and contact the medical alert monitoring center for you if smoke or CO2 (carbon monoxide) is detected in your home. They can get help on the way right away if it’s needed. If you or your loved one have trouble remembering to take their medication, consider signing up for a system that provides pill reminders. Most medical alert systems don’t include pill reminder systems with their plans, but this service, and in some cases accompanying hardware, can be added on. Check-in service: Daily/weekly/monthly calls or check-ins. Sometimes you may not want to ask your family to call you every day to make sure you’re okay. Some medical alert companies will call to check in with you every day to make sure you don’t need help. Other medical alert firms offer a basic check-in service where you press a button on your base station every day, so they know that you’re okay. If for some reason you don’t press the button for your daily check in, they will reach out to you and if necessary, call emergency responders or your designated contacts. Our website only reviews the best systems for residents of the continental United States, meaning Alaska, Hawaii and Puerto Rico aren’t included. Similarly, these medical alert systems don’t provide service in Canada, Mexico or any other countries. If you are located within the continental U.S., please read on! 2. Is this system for you or someone else? 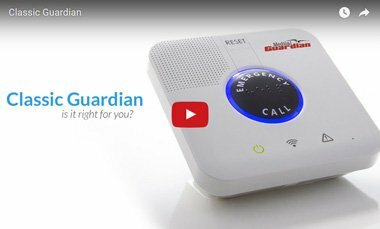 According to our statistics, 70 percent of people looking for medical alert systems are not buying them for themselves, but for a loved one, usually a parent or grandparent. It’s our aim to help you select the best system for yourself or that precious person in your life. 3. Are you often alone? 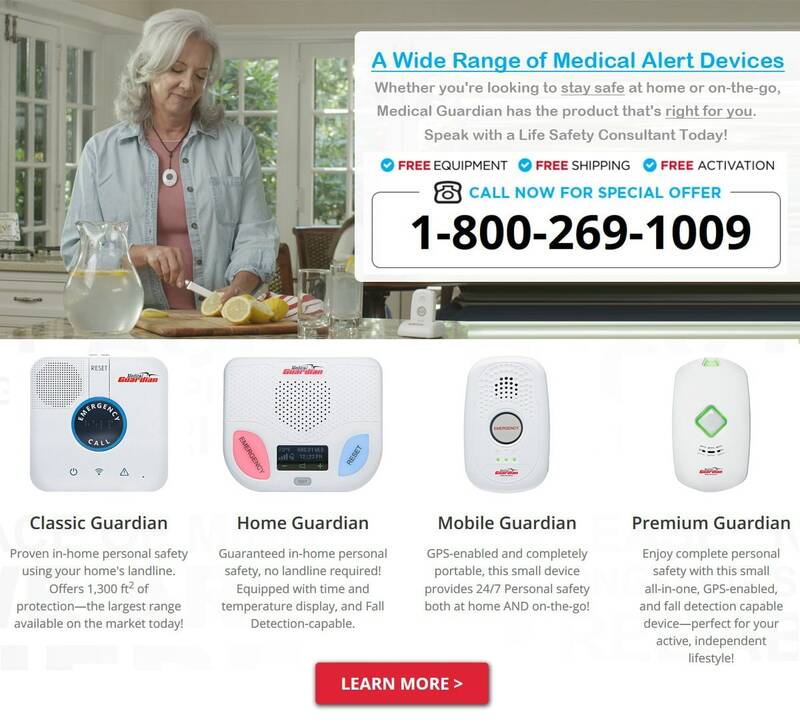 Most medical alert systems are purchased to help a senior citizen stay in their homes and continue to live independent lives. Caretakers can feel better about their parent living on their own when they know that parent can get help quickly if they need it. According to the U.S. Census, one out of every four people lives alone. And while the number of older women living alone has declined over a generation, they still make up the largest group of individuals making up one-person households. The majority of people polled state that they would prefer to stay in their own home and receive care there, versus going into assisted living or even moving into a family member’s home (which was perhaps surprisingly, the least favored option). 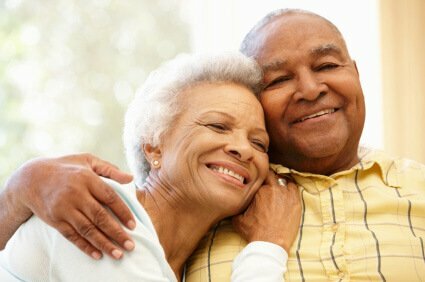 A medical alert system can help independent seniors, including couples, stay in their homes longer for a happier life. Medical alert systems also are appreciated by people who do live with caretakers but still may stay home alone or go out of the house on their own. The average age of a medical alert system client is 76 years old. Clients, of course, can be younger, particularly if they have particular health or safety concerns. 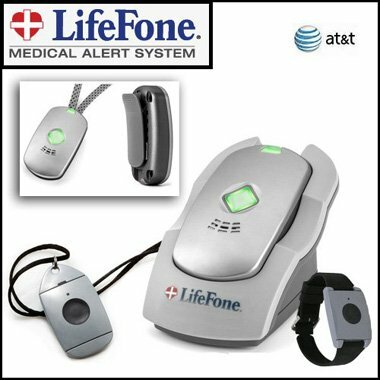 People up to the age of 90 and over also use and appreciate the extra security that a medical alert system provides. 5. Have you fallen in the past year or at a heightened risk of falling? 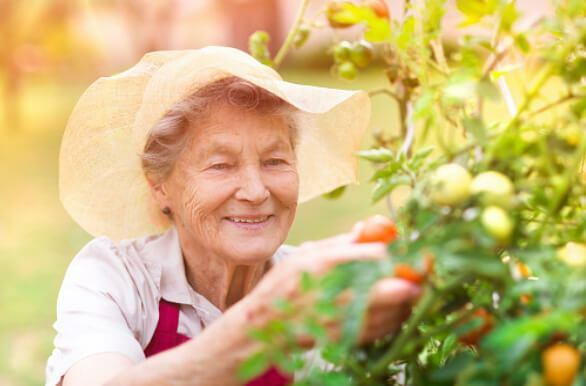 According to the National Council on Aging, one out of four seniors age 65 and over will experience a fall each year. 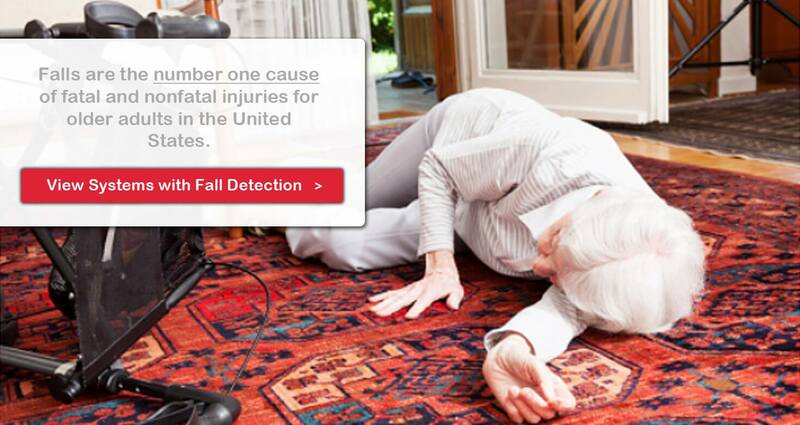 Frighteningly, every 11 minutes an older adult dies from a fall in the United States. Falls are the leading cause of fatal injury among older adults. The sooner that a person receives medical attention after a fall, the better their chances of recovery tend to be. That’s why medical alert systems with fall detection are an excellent choice for any senior, and especially so for those who have fallen before or are at an increased risk of falls due to a medical condition or the side effects of medication. 6. How many times have you needed medical assistance in the past three years? If you or your loved one has needed medical help in the previous three years, their risk goes up that they will need help again. 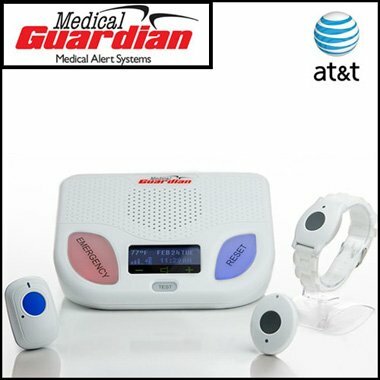 Having a medical alert system by their side can make sure there will be no delay in getting medical assistance quickly. 7. How many medications do you take on a daily basis? Older adults each take an average of four prescription medications a day. Caretakers can’t always be there to monitor that they’re being taken correctly. Many medical alert systems have pill-reminder features to help you or your loved one stay on track with medication and supplements. Additionally, some medications can lead to dizziness or dehydration, which increase the risk of falls. Medical alert companies will keep your medication information on file and provide it to emergency responders if you need help. •	Not Active / No Mobility? •	Slightly Active / Limited Mobility? •	Moderately Active / Runs Errands? •	Very Active / Regular Exercise? There are a few types of systems to fit each level of activity. Some systems are meant for In-home & yard primary use, some are mobile for active people, and some have a combination for both purposes. Also, keep in mind that if you have limited mobility, you are at an increased risk for falls. 9. In a medical emergency, what would you currently do? If you don’t have anyone at home or nearby that can hear you when you need help, the main options are to call 911 for help or even phone an adult child or a friend. But what if you can’t reach the phone? Or what if you are unable to speak? That’s where a medical alert system is invaluable. All medical alert systems include a wearable help button that is designed to stay on you at all times. Once you push the alarm button, a call for help is transmitted to the company call center, which operates 24/7, 365 days a year. If the operator can’t hear you for any reason, they will send help right away. 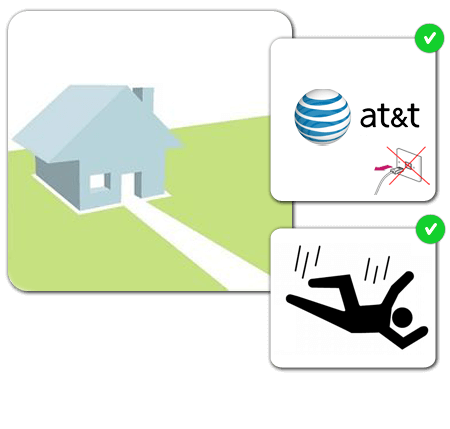 They can also notify a neighbor, friend or family member from the contact list you have provided to them in advance. You will be able to achieve all of this with only the push of a button. 10. What is the cost and how to choose the best system? The average basic cost of a medical alert system service is around $1 per month. Usually, you will be billed monthly, but you can also choose a quarterly or annual payment plan to get a monthly discount, free shipping or other company-specific perks. 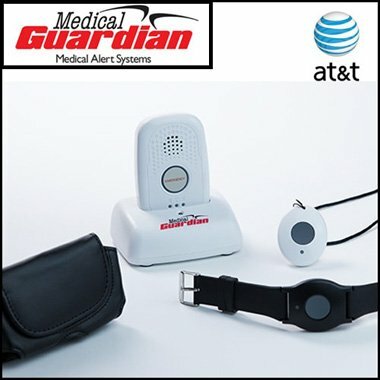 Most medical alert companies use the same or similar type of hardware, so there isn’t much variation among base stations and wearable alarm buttons for the most part. There are about three to five types of devices and plans to fit your exact needs. The prices for basic service are pretty much the same across the board. In light of that, the smart approach is to choose a system from a trusted medical alert company that has a long-running, proven track record for excellent customer service. Those are the types of plans we have reviewed here. Kidney Stones Becoming More Common: What Can You Do About It? Is Midlife Playing Havoc With Women’s Sleep? MedicalAlertSystemReviews.net © 2014 - 2018 All Rights Reserved.